Today I sent out just over ten stories, some new, some that had been rejected over the past week or so. As I hinted at in the previous post we’ve been preparing for a house move (a new property has been bought — the move has not happened yet). So I haven’t had time to spend sending stories out… what free time I’ve had has been devoted to writing new material. Anyways at times like this I do wonder at the sheer expense in time needed to send out the stories! A couple hours last night to plan where they should go (making sure markets are still open and are appropriate for the particular story) and then another couple hours today getting the stories converted into particular formats for particular markets. For now, I think it is, still worth the time cost. There’s a huge thrill for me when I do sell a story and know it will appear in a magazine or online at some point. I don’t quite have the same thrill when I sell an eCopy of one of my story reprints. (Though I have to admit when I get reviews and feedback, there’s a thrill, so we’ll have to see in the future… maybe I’ll release a collection of fiction, a mix of previously published stories and orphans — stories that have yet to sell). Anyways back to some packing I guess. 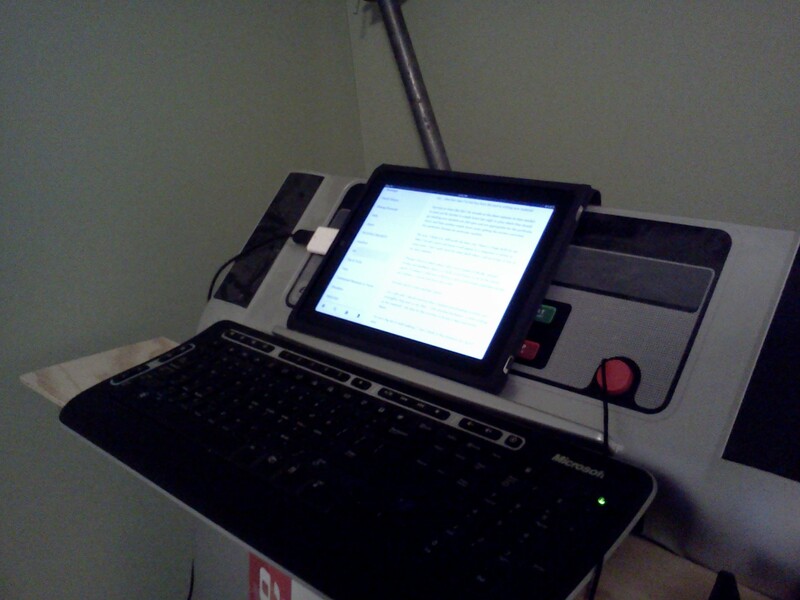 (As a side note I should mention that I finished proofreading novel#4 and writing this blog post on my iPad — with attached keyboard — while walking on the treadmill… the idea for this courtesy of Krista D Ball and Arthur Slade). I’m not a big advocate of mult-tasking but I think in this situation its a good idea!